I must really be getting old....or at least my vocabulary is. Working with younger colleagues has broaden my knowledge to a whole new world of words. Ever heard of "LOLs"(laugh out loud), "Hahas" (extremely happy laugh) and the ever famous, "YOLO"? YOLO stands for You Only Live Once. Pretty much our dear millenials' battle cry in life. Through I feel that this is a very brave stance as it empowers them to break free from their inhibitions and what ifs and to just be the best person that they can be. As for me, it's all about taking good care of ourselves. Carefully choosing what goes in our mouth as we only live once and we have to treasure every moment of it. 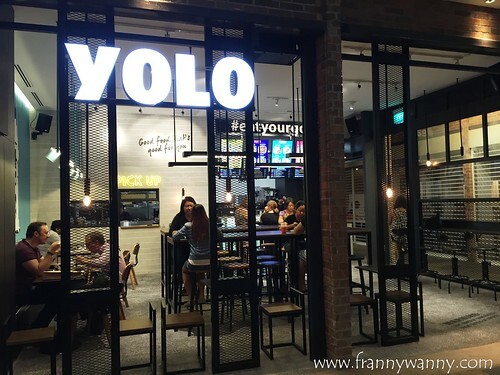 That said, I was so happy to finally discover a new restaurant near my office called.. YOLO. 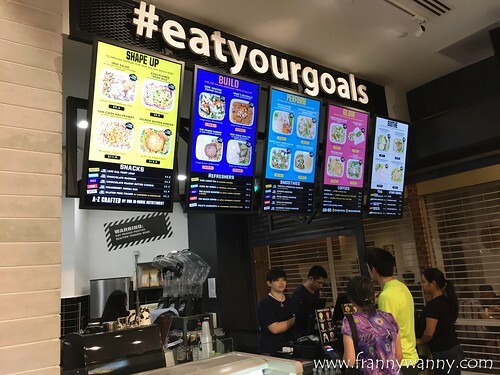 To be honest, I was a bit hesitant to give this a try as healthy food doesn't come cheap and given that this serves dishes above my usual lunch budget is one reason why I've been putting off my first visit to YOLO. Thankfully, I got the Sugar app which allows me to discover new places and yes, to break all my hesitations and to just go for it. YOLO's menu is divided into for types depending on your fitness goals -- Glow, Build, Energise and Shape Up. Glow focuses more on your skin, Build is for your muscles (and it's perfect for those who are in body-building activities), Shape Up is to help you get that beach-ready body all year long and Energise is to help you go the extra mile. I know I'm really supposed to go for Shape Up but for starters, I tried the dishes under the Glow section first. Well, it doesn't hurt to have nice looking skin, right? 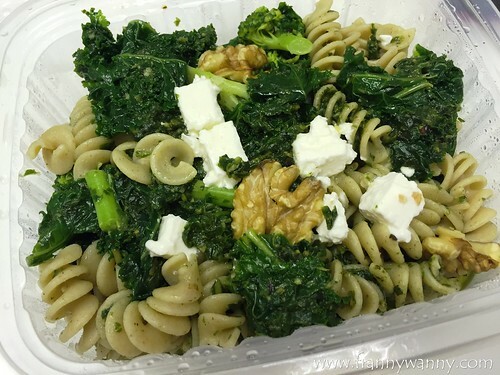 For my first visit, I tried the The KPP (S$13.90), which stands for, Kale Pesto Pasta! We all know that kale is a very popular superfood and it's not easy to acquire this much less to prepare this. I've tried a number of kale dishes that either tastes really bitter or bland. I have to say that this is one fragrant dish. The pesto really stood out and the pasta was cooked al dente. It's quite interesting to have a pesto-infused dish that's not oily at all. If I have to describe it, I'd say it was "soupy". I'm not really sure why but my dish was a bit too watery. It was good but I do not appreciate that my pasta has water dripping in every bite. Topped with broccoli, Greek feta cheese and walnuts, it was a filling meal and a very healthy one too. On my second visit, I went for another Glow dish which was the Thai Fish Cake with Green Salad (S$10.90). I have to say that the fish cake was delicious! 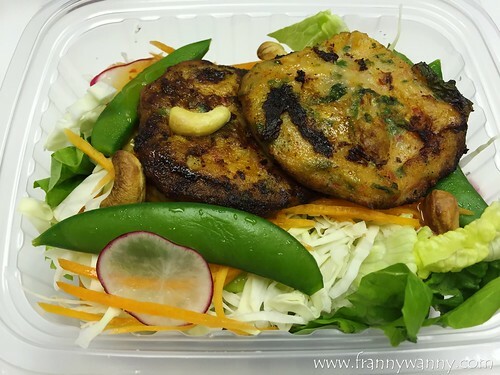 I appreciated the fact that they added in two plump fish cake patties and the fresh salad base was very generous too. However, they could have put in more effort in improving the salad. I somehow felt that it was simply just fresh greens with sweet chili sauce. Nothing really special about it but admittedly, this is better than The KPP. If you noticed, my first two meals were not bad but nothing worth daydreaming for. I stopped visiting YOLO because I felt it was just so-so. Then, Christmas and non-stop eating happened in Manila. I flew back to Singapore feeling guilty for all that feasting and I promised to get back to my healthier routine from now on. First step is to have a healthy lunch. Back at YOLO again and I noticed that they have updated their menu. This time, I went for the Miso Glazed Salmon Steak with Bok Choy and Quinoa (S$15.90). I love anything with salmon so I was feeling very positive about this. Okay, let me just say that I think I've hit the jackpot with this. The steak was so tender and juicy! I love how it was crusted with sesame and chia seeds giving it a nice texture in constant to the smooth salmon meat. 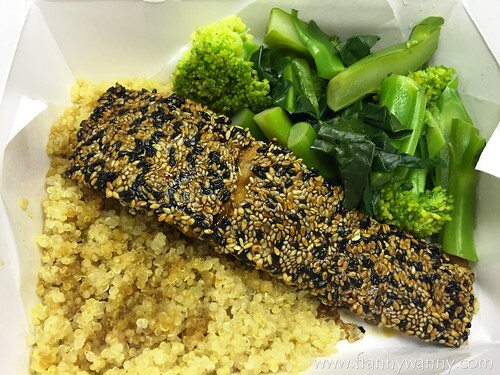 The quinoa had a light miso flavor coming from the glaze drizzled on top of the fish. The only thing that I felt could still be improved was the veggies. It was just too dry and bland to be fully enjoyed. I'd say that the third time was a charm and I'm glad that I gave YOLO another chance. I'm now more excited to try the other dishes under the other menu sections too.